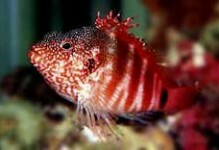 The Cuban Hogfish, also called the Spotfin Hogfish, has a pinkish-orange head and body. The caudal portion of the body and the tail are lighter, sometimes approaching yellow. The brightness and placement of the colors can vary considerably. 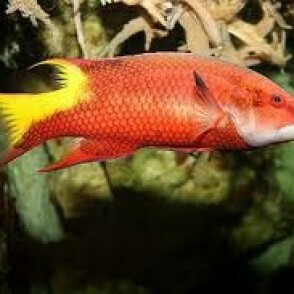 The Cuban Hogfish needs room to swim, so a tank of at least 125 gallons is needed for an adult. This is a very good fish for the novice with a large tank. It is docile and generally safe with all animals and invertebrates, except crustaceans. 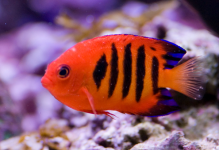 Tank mates should be larger than a Wrasse. 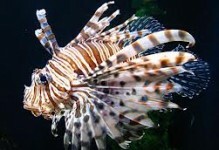 Though it poses little threat even to smaller fish, it can be intimidating at feeding time. 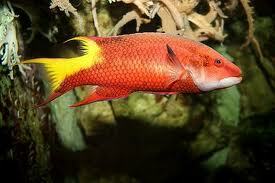 The mature adult Cuban Hogfish will eat snails, worms, mussels, small fish, shrimp, and squid.